University at Buffalo (UB) scientists say they have developed a new protein analysis tool that could vastly increase the speed and precision with which disease and drug effects are analyzed. Called IonStar, it is the first to provide near-perfect accuracy when quantifying and comparing the abundance of proteins in the bodies of people who are healthy and ill, according to the researchers. Compared to industry standard MaxQuant, IonStar improved the measurement consistency of proteins in low abundance and lowered the amount of missing data in results from 17% to 0.1%, a level that has never been achieved with large samples, notes Jun Qu, Ph.D., lead investigator and professor in the UB School of Pharmacy and Pharmaceutical Sciences, adding that the new tool could increase the quality and accuracy of medical diagnosis and quicken the pace of pharmaceutical development. “IonStar will totally change the face of clinical and pharmaceutical research and industry, where large investigations are often critical,” says Qu. The research (“IonStar Enables High-Precision, Low-Missing Data Proteomics Quantification in Large Biological Cohorts”), was published in the Proceedings of the National Academy of Sciences (PNAS). “Reliable proteome-wide quantification in large biological cohorts is highly valuable for clinical and pharmaceutical research yet remains extremely challenging despite recent technical advancements. Specifically, elevated missing data levels and compromised quantitative quality are common issues for prevalent methods. Here, we describe an IonStar technique taking advantage of sensitive and selective MS1 ion current-base quantification via innovations in effective and reproducible quantitative feature generation,” write the investigators. The abundance of proteins in the body that correspond with disease or pharmaceutical reactions can provide researchers with vital clues for accurately diagnosing a condition, and for developing potential therapies and evaluating drug effects. 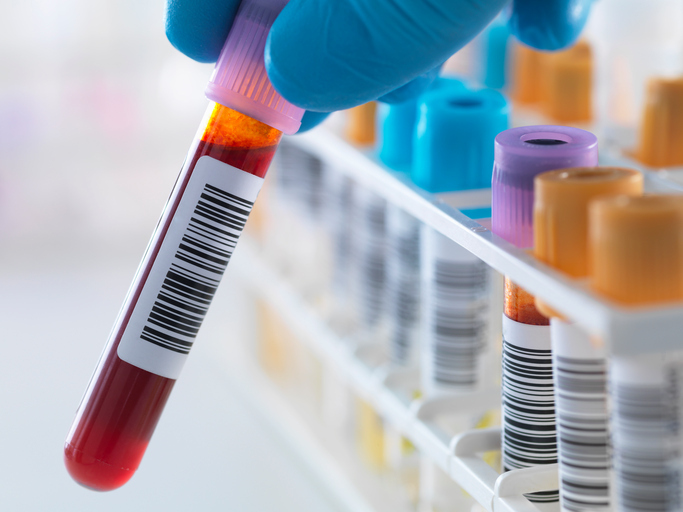 Protein analysis tools are used to quantify and compare the abundance of proteins in groups of healthy individuals with those who are ill or treated with a drug. Changes in protein abundances, when analyzed together, often reveal novel biomarkers. IonStar increases accuracy and precision and lowers missing data by improving on sample preparation methods, alignment, and feature detection designs for mass spectrometry analysis, continues Qu. Researchers used IonStar to quantify proteins in rats with traumatic brain injury, a debilitating condition that accounts for 2.2 million emergency room visits annually in the United States. Using 100 tissue samples, IonStar identified 7000 proteins, including 1000 that differed in abundance, without missing data. “If higher-level proteins are soldiers, then lower-level proteins are the commanders. They are the regulators that tell the higher-level proteins what to do,” points out Qu, who has used IonStar and similar techniques to analyze protein variation in cancer, diabetes, cardiovascular disease, neurodegeneratio, and retina degeneration as well.